Citizen science is on the increase. Using their own observations and mobile devices, citizens can provide a new data stream of local information about their environment, complementing existing systems and data sources. Ground Truth 2.0 is a 3-year EU funded project that is setting up and validating six citizen observatories in real conditions, infour European and two African demonstration cases. The project is demonstrating that such observatories are technologically feasible, can be implemented sustainably and that they have many societal and economic benefits. The ultimate objective is the global market uptake of the concept and the enabling technologies. "Via citizen observatories, citizens - and not just scientists and professionals – can be enabled to share data about their environment and to take on a new role in decision making and cooperative planning." The thematic focus of Ground Truth 2.0 is on flora and fauna, as well as water availability and water quality, for land and natural resources management. The project uses mobile apps and social media analytics to collect explicitly and implicitly-sensed citizen data. As such, citizens are enabled to share data about the environment and to take on a new, crucial role in environmental monitoring, decision making, cooperative planning and environmental stewardship. Ground Truth 2.0 recognises the importance of real-life interaction between people and technology to set up a successful system. Its innovative approach combine the social dimensions of citizen observatories with enabling technologies, so that the implementation of the respective citizen observatories is tailored to their envisaged societal and economic impacts. 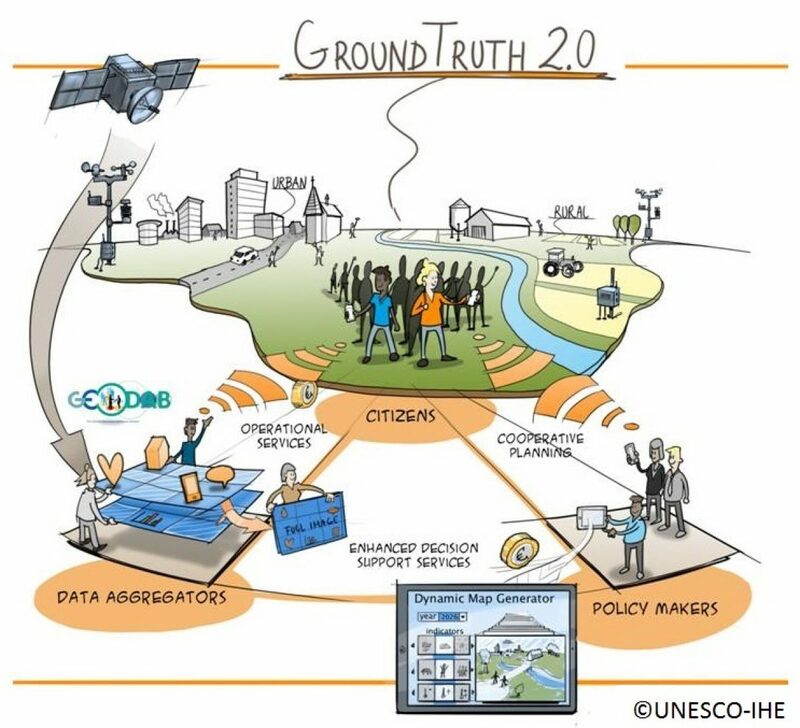 Ground Truth 2.0 builds on previous projects related to citizen observatories, earth observation and land-use modelling, undertaken with the participation of Ground Truth 2.0 consortium partners. The consortium partners present a good mix of industry, SME, NGO, government, research and academia to ensure the worldwide commercialisation of the Ground Truth 2.0 concept. Ground Truth 2.0 is led by Dr. Uta Wehn, Associate Professor of Water Innovation Studies at IHE Delft, and runs for 3 years from 1 September 2016.